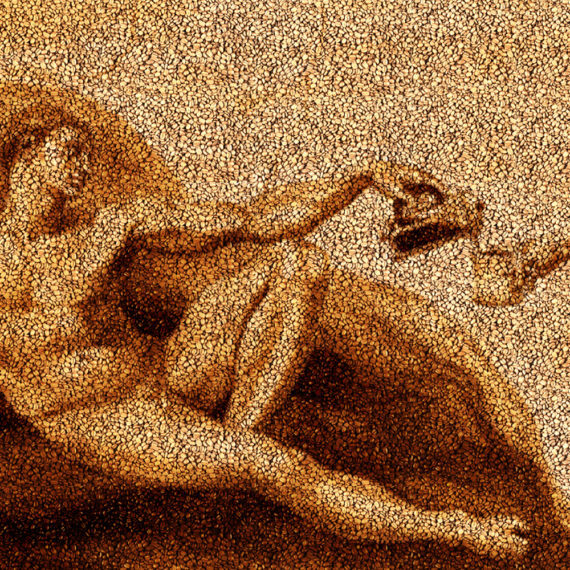 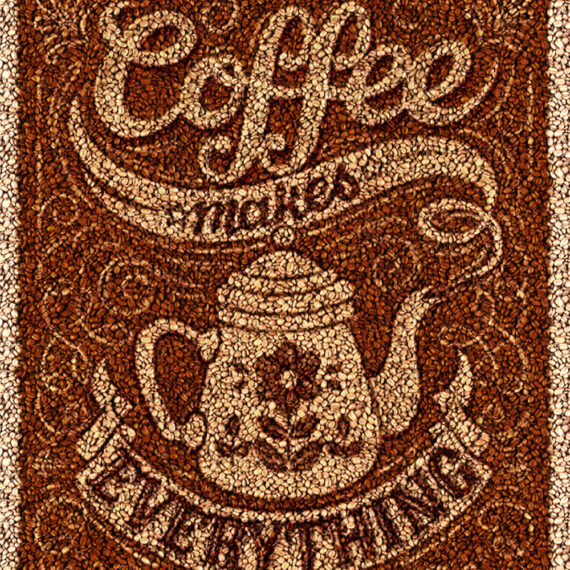 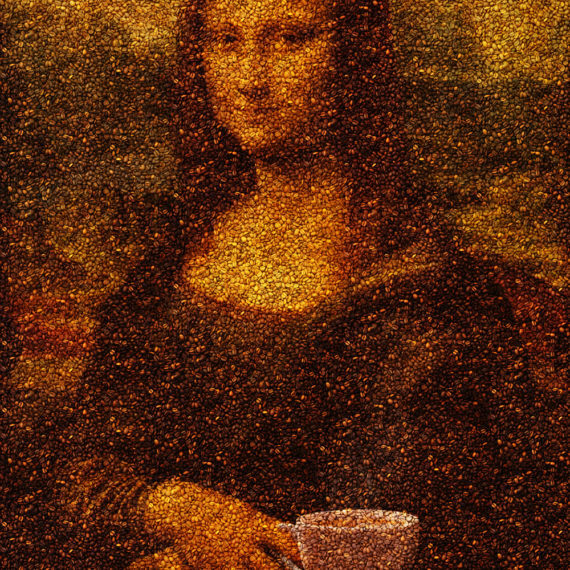 Another great retro-inspired mosaic using thousands upon thousands of roasted coffee beans. 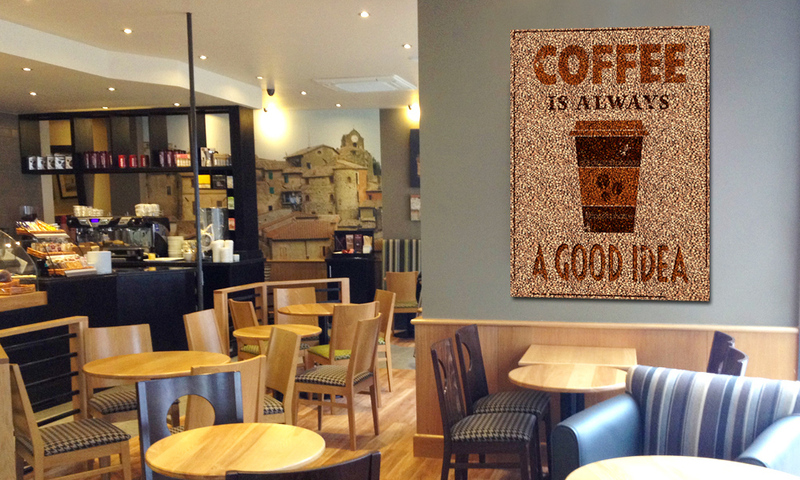 The beans are arranged by hand and mounted to a sturdy gallery-quality frame for display. 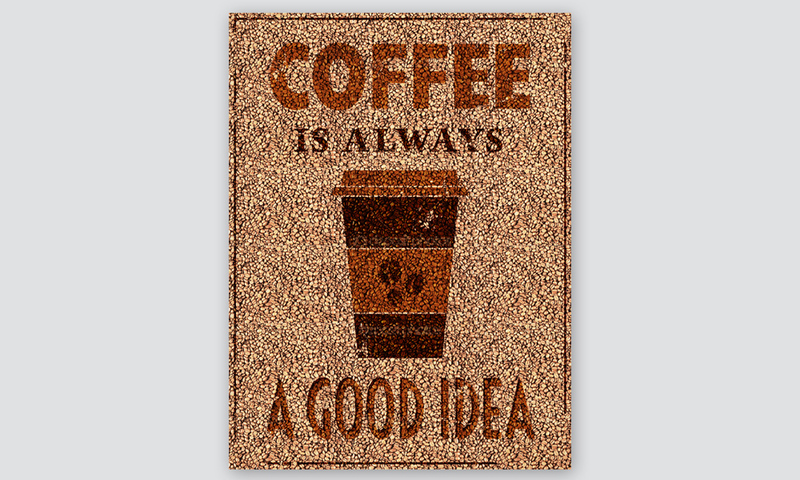 Our coffee bean collection consists of a variety of custom-designed mosaics all catered to specific styles and themes requested by our clients. 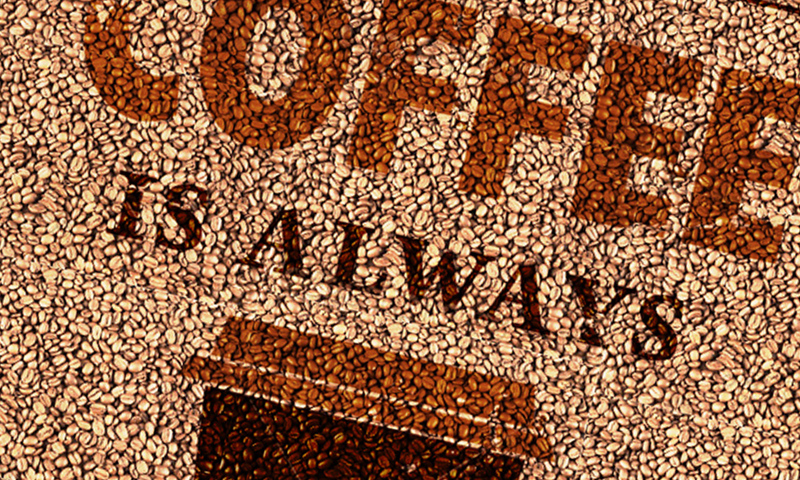 Custom colours, subject matter and sizes are available upon request.